The year 2015 brought a lot of unique opportunities and potential changes to VMware’s business. These strong winds of change helped us close out Q4 with a bang, and it’s that same momentum that is going to take us to the next level in 2016. The year 2015 brought a lot of unique opportunities and potential changes to VMware’s business. These strong winds of change helped us close out Q4 with a bang, and it’s that same momentum that is going to take us to the next level in 2016–both in terms of the growth acceleration and maturity of our innovative product line (including NSX, VSAN and AirWatch), as well as for partners as they emerge and grow in each of these spaces. Looking forward, it doesn’t take a crystal ball to see that these are the same paths that technology is heading toward in 2016. CEOs, across the board, are actively looking for ways to streamline workloads, bullet-proof their systems and transform their entire organization to support enterprise mobility. While these routes create tremendous opportunities for building profitable businesses with VMware and leverage current and future partnerships that the company is investing in, our big bets for 2016 can be found in capitalizing on these initiatives. Predictable Profitability. Throughout the coming months, partners will see several projects rolled out to create a more consistent rhythm and method within our partnerships, both in terms of rebates, rewards and incentives and extending into interactions with our field and support teams. As partners find deals and create opportunities (regardless of their region or geo), you will know exactly how the approval process works and how you’ll be rewarded for your investment in VMware. Creating Value in Our Partners’ Businesses. At VMware, our partners are not an extension of our sales force. Our partners are our sales force, and many of you are taking the next steps to create your own consulting services engagements. To this end, we are excited to offer a new Partner Professional Services Program, complete with training opportunities to improve services and sales capabilities; access to VMware expertise for sales and delivery support; and expanded program benefits focused on driving your profitability with VMware. Programs like this create value in our partners’ businesses and are paramount to our mutual success. Rewarding Healthy Growth. Looking specifically at expanded offerings for 2016, our partner business managers have made it their top priority to determine the right areas for growth based on your current business model and capabilities. Should you offer NSX if networking isn’t the primary strength of your core business? Does your forte in mobility align with your VMware accreditations? Which solutions round out your go to market strategy? For each of our partners, the answers to these questions pave the way for healthy growth in 2016 and beyond. Which best bet will be the most impactful for your 2016? I’d love to hear your thoughts below. To learn more about joining VMware’s award-winning Partner Network, you can refer directly to our overview page. 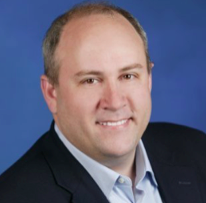 Ross Brown is Senior Vice President of Worldwide Partners and Alliances at VMware. Guest blogs such as this one are published monthly and are part of The VAR Guy’s annual platinum sponsorship.